Do you require professional freight services in order to move your personal or commercial cargo from one location to another? 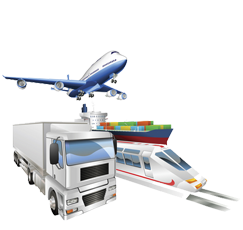 Wondering whether you should choose airfreight or sea freight for your particular requirement? Airfreight is the transportation of goods and belongings via a plane, while sea freight refers to the shipping of items in boats via water routes. These two modes of shipment are commonly used for domestic as well as international cargo transportation by business enterprises as well as families moving to new locations. Shipping cargo by sea is cheaper as compared to moving it by air. If you are looking for a less expensive means of moving your cargo; this is the mode of transportation that you need to choose. Although the costs of shipment via sea freight can vary according to the distance, it is still a more cost effective option as compared to other means of shipping. The best part about hiring sea freight services is that most cargo ships have large cargo space. Thus, you can ship a lot of your belongings or commercial merchandise at one time, without lacking availability of space. Furthermore, the cargo area of most ships is large and spacious. Therefore, you can shift industrial machinery, cars, merchandise, or any other item that you want to transport, regardless of its size and shape. With large shipment orders, sea freight cannot only be convenient, but also be quite cost effective. Airfreight is a quicker means of transportation and is a good option if you require urgent delivery of your belongings. However, if you relocating across the globe, you will require some time to settle down in your new surroundings before having to manage your cargo and organize it in your new home. For people who are relocating and desire some time to adjust to the change, opting for sea freight is the best option. It provides you with a means of getting your belongings delivered to your new home in a relaxed manner, without worrying about it. Sea freight is good for long distance transportation of goods from one destination to another, as ships do not need to refuel frequently and can continue on their journey from day one until the end, without requiring stops in between. Thus, there is less loss and misplacement of cargo, and the risk of theft is also reduced. Almost all sea freight services can provide you with specialized ways of transporting your temperature sensitive or hazardous cargo. If you want to transport chemicals for industrial purposes or are in the need of temperature-controlled environment to ship your temperature sensitive items, then sea freight offers a smooth and specialized means of moving your particular goods. With so many advantages being provided by sea freight services, it is not a wonder that many people opt for professional services for their personal and professional shipping needs. If you are in need of cargo shipping services via sea freight, find a good freight service today!